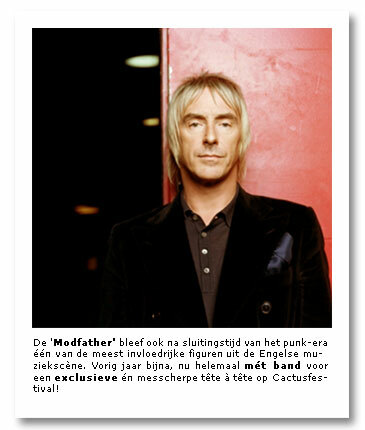 Paul Weller Is Scheduled To Play The Cactus Festival In Belgium! – Paul Weller News! Previous Entry Paul Weller Appears On Noel Gallagher Charity CD! Next Entry Paul Weller In Wolverhampton – Review & Set List!